Timing 35 minuts and 45 seconds. The 33rd Bank of America Shamrock Shuffle 8K lived up to its billing as the world's largest 8K road race as a record 34,372 runners crossed the finish line in Grant Park, beating the previous record set last year by nearly 2,000 finishers. The Temperature was between 55-60F at 8am-9am, best for long run. I did my best as per my watch record. Celebrated with day special food "Pav Bhaji". Invited co-runner Shraddha (who completed this 8K race in 47 minutes, 1st ever marathon), co-worker (Ex - Bhramanti member) along with my Wife, Daughter and Mother-in-law. Timing 37 minuts and 55 seconds. This 32nd race has record 40000 registered and 32388 finishers all time high. It is highest recoreded till date. By this small marathon run I can officially say I have run in all types of weather. 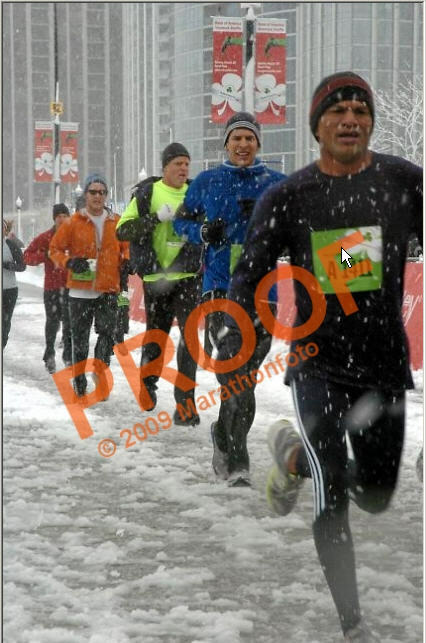 In the past I ran a full marathon in the hot temperature and a half marathon in the heavy rain. It was predicted that there would be snowfall in the morning session and as expected the snow started at around 7am. It was unfortunate for me since I wanted to achieve a good running time in this event. Due to work I was not able to train as scheduled, but whatever training I did, my goal was to finish the race in around 32 Min (4 minutes less compared to last time). Overall everyone was 2 minutes behind compared to their time from last year. The U.S. Olympian Deena Kastor (Calif.) and Emmanuel Korir (Mich.) participated in this run & offcourse they were the winner. The elite runner who finished in first place had a time of 24min 30sec. This was 30TH ANNIVERSARY of SHAMROCK SHUFFLE. I finished in 36min. Other than timing I enjoyed this run since running in the snow was a different experience. The entire route was full of snow, slush, and less spectator. There were 50% less participants and they all looked like genuine runners. It was fun and I was happy at the finish line when I heard a familiar sweet sound from someone. I was shocked for a while and later found that it was one of my running buddies. She was carrying Team Asha Welcome/Invitation banner. As usual I was expecting another small run to continue to reach my recently moved new place in Lincoln Park. I ran another 2 miles to catch the taxi since most of the nearby roads were closed and I was shivering due to the cold temperature. Overall it was a nice experience for a change to my recent work schedule. The weather was marked yellow as per Early Alert System. This means it was below the ideal running condition. Stood 2nd Indian in the list. This time officially participated in the Shamrock Shuffle 8k marathon organised by Bank Of America. 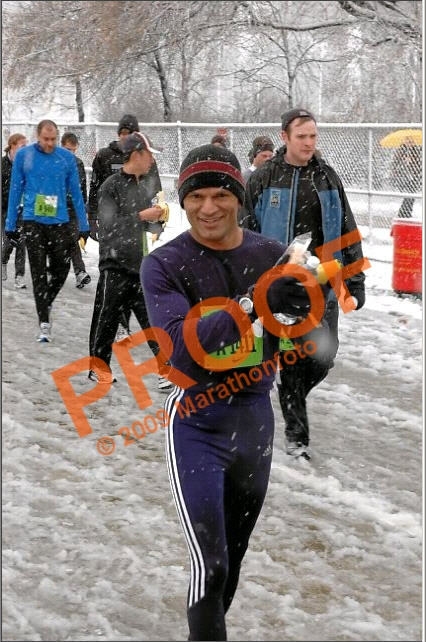 I became 199th finisher in my cateogory(35-39 age group). Over all ranked 1390 & 1174 among the male participants. The total finishers were 22558 out of 30000 registered participants.10383 Males and 12175 Females were the finishers. I feel this time I did better than last time in terms of speed. This time weather was cold as compare with last time. It was cold througout the race started. As per the record findings from the shamrockshuffle.com, I stood 8th as per the Indian participants. 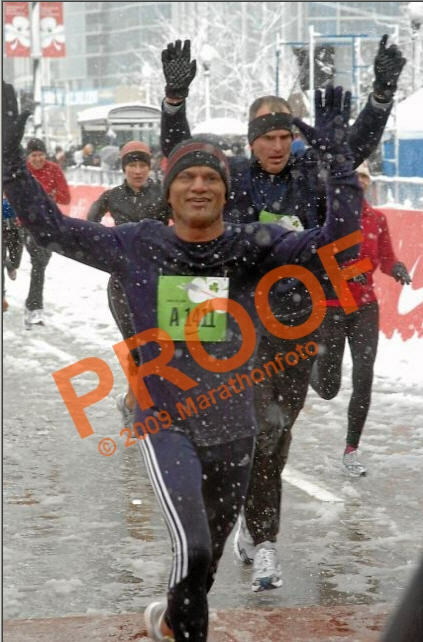 It was one of the most enjoyable experience for me when I participated in Shamrock Shuffle 8k run. I would like to thanks Mr. Mohit Sauhta, who informed me about the run. Though I was not an official participant of the race but I went ahead just to test myself. Two colleagues of mine joined me (Siddharth & Bharat). The start point was near the North Avenue. Due to the run the authority had closed the route from where the run passes through. Many group of people were moving towards one direction and we also joined them and no doubt it was heading to the starting point of the run. As soon we entered the area it was a charged atmosphere with all young hearts from various ages (child to oldies) waiting for the final go ahead. The race was organised by La Salle Bank. The race started at 9:30am of the sunny day. I tried to leave most number of people till the time I saw the end line. 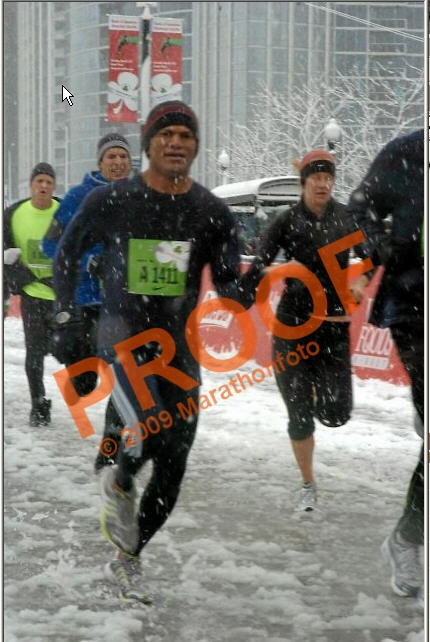 By that time it was 10:00am, I couldn't believe that I finished the race in 35 min. of time(Approximate Time). I was one of the happiest fellow among the crowd no matter what was my rank. I suppose I should be among 1st 1500 out of the crowd 30000. My colleague also completed the race in good time. They too were happy. We all went home at diff rent time but latter we gathered once again in the afternoon to celebrate the day. I cooked famous Gujrathi Dish "Pav Bhaji" for all our 14 Hexawarian fellow and no doubt it was one of the best dish actually in my life I made, Second time ever.